In July 2000, Stimpson and Wicks Unlimited, Inc. joined forces in a combined effort to bring the world’s candle industry a wealth of high quality products and creative thinking. Though the backgrounds of these two companies were significantly different, the companies themselves actually proved to complement each other perfectly. Stimpson, established in 1852, operates in a 300,000 square foot plant in Pompano Beach, Florida, and currently employs approximately 200 people. A handful of the roughly 3,800 different high quality eyelets Stimpson produces represents the best wick-clips in the candle industry. Stimpson chose to manufacture these clips from a heavier gauge steel than their competition, steel which is tin coated, then polished, in order to enhance its resistance to corrosion and ensure long-term integrity. Wicks Unlimited’s founders had invested many years working in and analyzing the candle industry as well as fixating on how they could improve upon it with their expert knowledge of machine engineering and candle wick combustion. Like Edwin B. Stimpson had done some 150 years prior, Wicks Unlimited’s founders started Wicks Unlimited simply to provide a better product for our industry. But like many start-up companies with great ideas, the demand soon became overwhelming and a partnership with a larger company like Stimpson began to look like a perfect match. With the identical goal of providing their industries with the best, most innovative products and friendly, knowledgeable customer service, this partnership looked to be fortunate for both companies. Stimpson was able to partner with a rapidly growing, like-minded company and Wicks Unlimited was able to bolster its production capacity and expand product lines to meet the candle industry’s demands. But Wicks Unlimited doesn’t stop at production and customer service. We are industry experts in every aspect of what makes a candle burn safely and cleanly, and we work with each Customer, individually free of charge, to determine what combination of wick, wax and clip will work optimally with that customer’s particular candle. Wicks Unlimited also works closely with the candle industry, keeping its finger on the pulse of its ever-changing demands by supporting and participating in The National Candle Association, The Latin American Candle Manufacturers Association and ASTM Subcommittees. 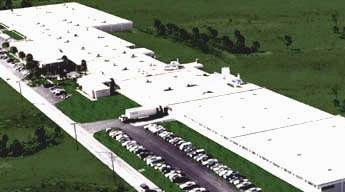 Wicks Unlimited’s production and customer service facilities are located at Stimpson’s Pompano Beach plant. Maintaining a strong, successful organization, focused on Customer satisfaction, as a foundation for the continued well-being of our employees, company and community. In July 2000, Stimpson Co., Inc. and Wicks Unlimited, Inc. joined forces in a combined effort to bring the world’s candle industry a wealth of high quality products and creative thinking. Though the backgrounds of these two companies were significantly different, the companies themselves actually proved to complement each other perfectly. Stimpson Co., Inc., established in 1852, operates in a 300,000 square foot plant in Pompano Beach, Florida, and currently employs approximately 200 people. A handful of the roughly 3,800 different high quality eyelets Stimpson produces represents the best wick-clips in the candle industry. Stimpson chose to manufacture these clips from a heavier gauge steel than their competition, steel which is tin coated, then polished, in order to enhance its resistance to corrosion and ensure long-term integrity. Wicks Unlimited’s founders had invested many years working in and analyzing the candle industry as well as fixating on how they could improve upon it with their expert knowledge of machine engineering and candle wick combustion. Like Edwin B. Stimpson had done some 150 years prior, Wicks Unlimited’s founders started Wicks Unlimited simply to provide a better product for our industry. But like many start-up companies with great ideas, the demand soon became overwhelming and a partnership with a larger company like Stimpson began to look like a perfect match. With the identical goal of providing their industries with the best, most innovative products and friendly, knowledgeable customer service, this partnership looked to be fortunate for both companies. Stimpson was able to partner with a rapidly growing, like-minded company and Wicks Unlimited was able to bolster its production capacity and expand product lines to meet the candle industry’s demands. But Wicks Unlimited doesn’t stop at production and customer service. We are industry experts in every aspect of what makes a candle burn safely and cleanly, and we work with each Customer, individually free of charge, to determine what combination of wick, wax and clip will work optimally with that customer’s particular candle. 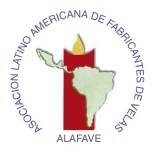 Wicks Unlimited also works closely with the candle industry, keeping its finger on the pulse of its ever-changing demands by supporting and participating in The National Candle Association, The Latin American Candle Manufacturers Association and ASTM Subcommittees.